Justice League Cyborg Made from Foam « Adafruit Industries – Makers, hackers, artists, designers and engineers! Rian CYD has been cosplaying since 2009, and in the eight years since he began, he’s become particularly skilled at using EVA foam. His portfolio is filled with several examples of complex armor sets and props for himself and ones he’s made on commission. 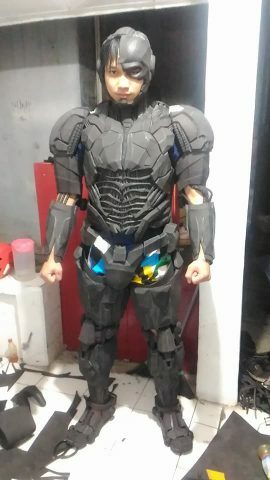 One of his recent projects is Cyborg from Justice League. 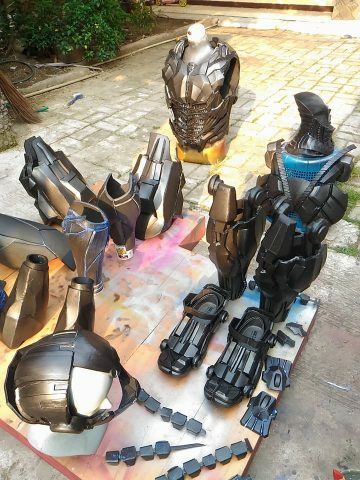 The shiny metallic armor started as dull gray EVA foam, as pictured below. Rian CYD began with patterns and lots of cutting. That’s all part of working with foam. But the particularly impressive part of this costume is how the armor appears to be beveled. 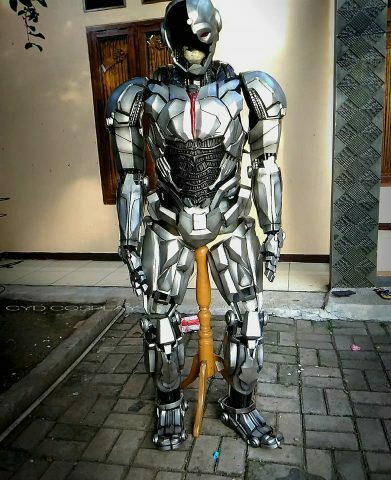 He’s created smooth angles that look seamless in the finished Cyborg cosplay. View more photos of the foam becoming a metallic cyborg suit in this Facebook album.